A crawler crane driver drowned while dredging an icy river in Cambridgeshire when his machine tipped into the frozen water. The Environment Agency has been ordered to pay more than £220,000 in fines and costs after Cambridge Crown Court heard a catalogue of errors caused the tragedy. 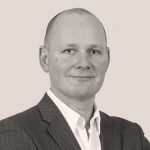 Simon Wenn, 43, from Wisbech, died on 8 December 2010 while working with a colleague on the maintenance of the Counter Drain at Mepal,. The water was frozen and the river bank on which the crane was positioned was frosty and wet. The court heard that at around 9:30am Wenn was in the process of repositioning one of the tracking mats. He used the crane to move the mat from behind and swing it to position in front of him. But as it rotated round and through the water the crane started to slowly slip towards it and then tipped into the watercourse. Wenn was trapped in the cab of the crane. Emergency services were called and tried to free him, but despite their best efforts both he and the machine continued to sink. He drowned as freezing water filled the cab and was pronounced dead at 8:19pm. An HSE investigation found that the crane Wenn was operating had been fitted with a 19 metre boom that exceeded the manufacturer specifications. 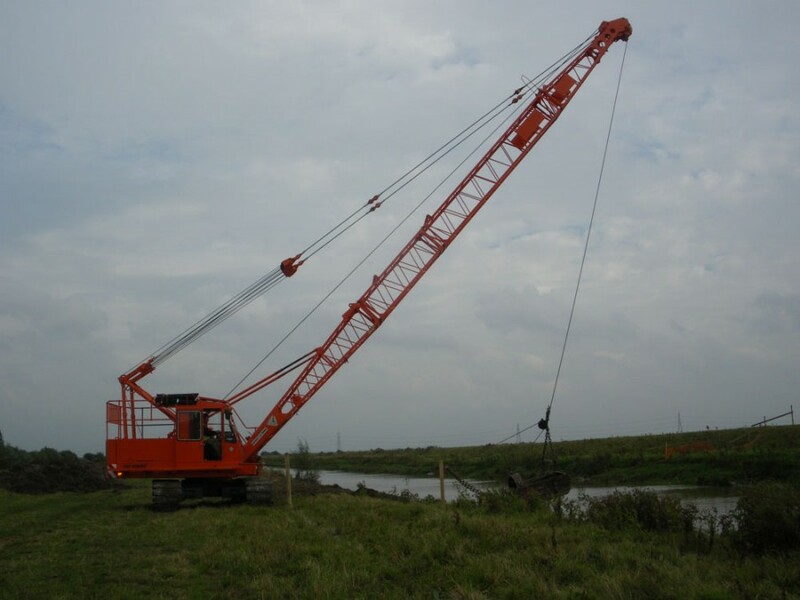 These stated that the maximum length of boom the crane should be fitted with was 16 metres when used as a dragline. HSE also established that the Environment Agency had made an inadequate assessment of the technical requirements at the Mepal site, and of the impact of the cold weather. The system of work for lifting and positioning the tracking mats was unsafe, and there was a lack of planning and competent site supervision. The court was told that although Wenn was trained as a dragline operator, he had no prior experience of using a crawler crane for lifting operations. When he attempted to move the mats, he dragged them through the water rather than lifting them clear. 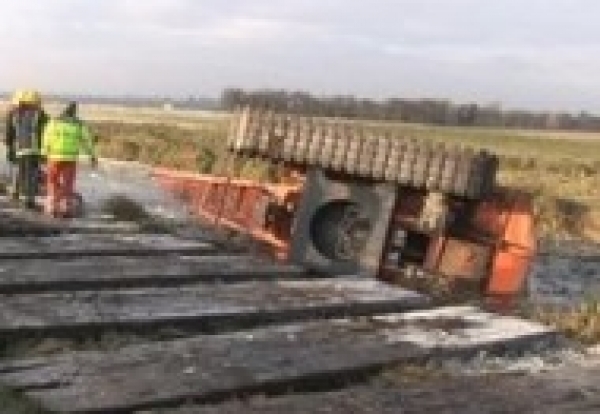 His death followed a similar incident in Norfolk in 2008 involving a smaller tracked machine operated by Environment Agency employees. HSE identified that it had failed to act on the findings of its own internal investigation into this incident. The Environment Agency was fined £200,000 with costs of £28,548 after admitting safety breaches. After the hearing, HSE inspector Stephen Faulkner said: “Simon Wenn’s tragic death could have been prevented had more thought and rigour been given to planning the dredging work, in order to minimise the risk arising from the use of the dragline to maintain this watercourse.